Painter of Madagascian landscapes, typical scenes of Madagascian daily life and portraits; draughtsman and watercolourist. Emile Ralambo was the son of Rainizanany Rakotovao and Razafindrasoalandy and belonged to the caste of the Zanadralambo. He was a brilliant student at the English School of Ambohijatovo Atsimo and in 1900 he got the ‘Certificat d’Aptitude à Enseigner’ (‘Teacher’s Certificat’). From an early age on, his parents noticed his talent for painting. Ralambo was an entirely self-taught painter: he had neither mentor nor any formal artistic education. He learned painting and drawing by observing nature and copying famous paintings. He dedicated all his leasure time to drawing and painting and perfectioned his technique. In 1897 he sold his first works. After graduation, he worked for more than thirty years as a teacher at the protestant mission schools of the Fianarantsoa province. He took part in many exhibitions in Madagascar and abroad. In 1952 he won a gold medal in Antananarivo and in 1960 the gold medal of the city of Vichy. 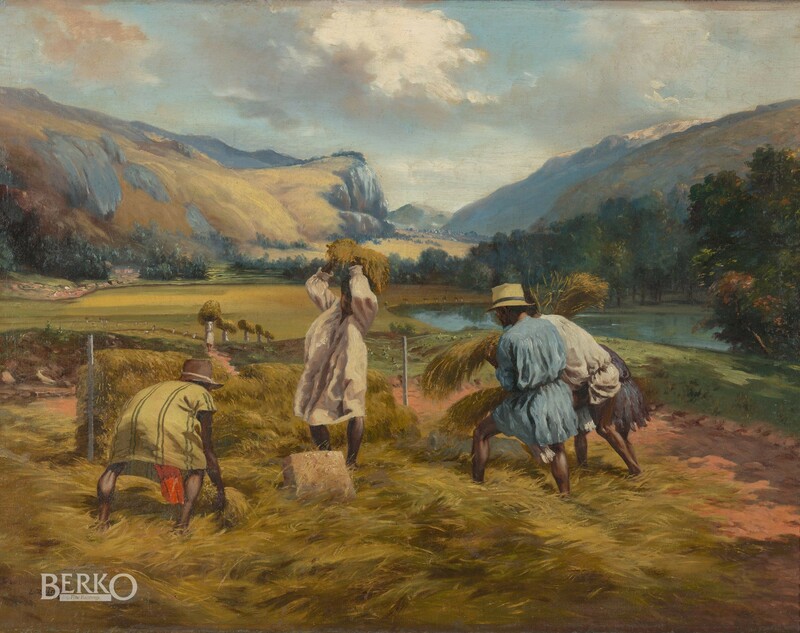 Ralambo is considered to be one of the best painters and watercolourists of his era. His paintings decorate many French, Norwegian, English and American interiors. The Museum in Versailles conserves one of his works.